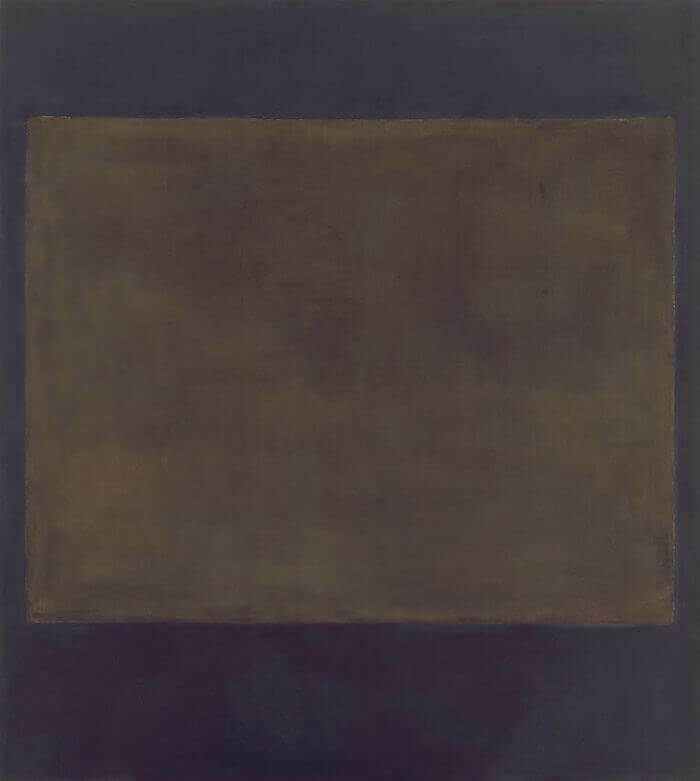 With some exceptions, the darkened palette continued to dominate Rothko's work well into the 1960s. He developed a painstaking technique of overlaying colors until, in the words of art historian Dore Ashton, "his surfaces were velvety as poems of the night." 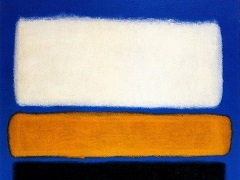 In Rothko's compositions, the rectangles and their surrounding space are given equal importance as presences. Beginning with no preconceived vision of a painting's final state, he intuitively adjusted his forms, always working with a frontal arrangement of horizontal or vertical rectangular forms. Rothko paid close attention to their height, width and edges, their distance from the edges of the canvas, and their interrelationships. All of his shapes have soft edges that fuse into their surrounding space. The dominance of these elements depends entirely on their color, which Rothko masterfully blended and layered to create varied luminosity and surface texture. He frequently applied paint with rags, rubbing wet colors together, so that few gestures were visible; at other times he painted with slightly built-up brushstrokes for textural variation. In many cases translucent underlayers of color are visible, evoking a quality of inner light.